Drew has a bachelor’s degree in Accounting from the University of Kansas with a concentration in Entrepreneurship. He started working at SST Software in February 2012 as the product manager for Sirrus. Drew works closely with developers, quality assurance, business analysts and design teams to continue to add new, relevant features to Sirrus. He also communicates with SST’s executive team and other stakeholders to forecast and build the Sirrus product roadmap. 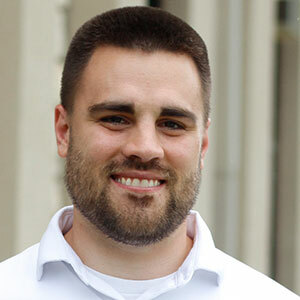 Drew’s certifications include PMP (Project Management Professional) and CSPO (Certified Scrum Product Owner). He has a passion for fundamentally understanding technology and applying that knowledge to problems in the fields to design the best solutions for Sirrus users.